This Fantasy Water Wall is as impressive as it is massive. 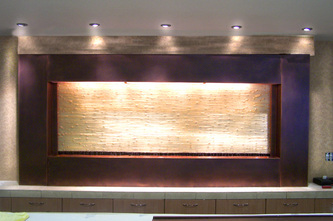 Covering over ten feet, this piece is made of copper and features a light bronze finish. 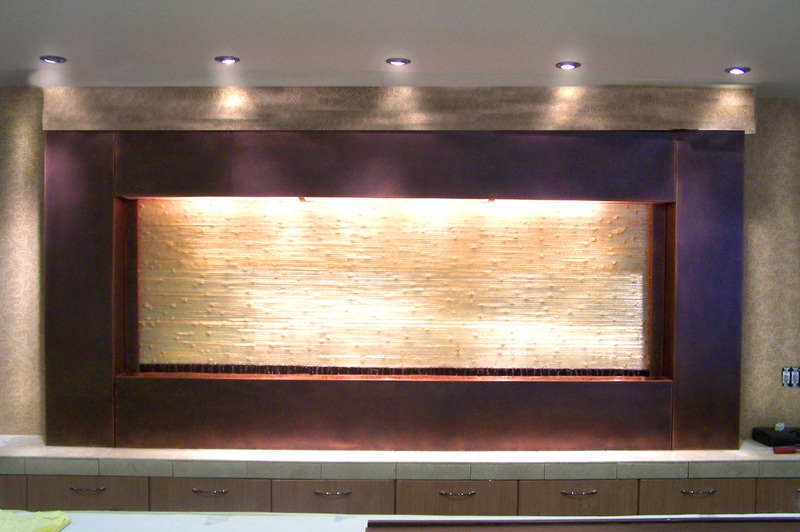 With bright shining lights, the beautiful gold Bios, and a free fall of water, this water feature bedazzles. Become entranced as the water trickles down the huge golden Bios before reaching its end and free falling into a bed of pebbles. The immensity of this water art will attract many a gaze while providing a gentle water soundscape.